Did Reporting a Workplace Hazard Result in Employer Retaliation? Has your employer retaliated against you because you filed a workers’ compensation claim or reported a safety hazard? Studies show that retaliation claims are on the rise in this country, so you would not be the first person to wonder if what you’re experiencing is real or imagined. If you think unfair practices are holding you back, a good personal injury attorney may be worth looking into. The truth is that roughly 100 state and federal courts have been dealing with cases related to retaliation in the workplace last year alone. Some contend that employers are doing everything possible to discourage workers from reporting injuries and hazards, and that employees who do report suffer in the aftermath. 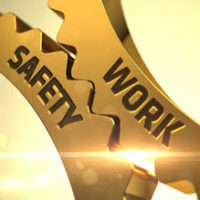 While safety measures have helped to reduce accident rates in the workplace over the past decade, the U.S. Occupational Safety and Health Administration (OSHA) concedes that accidents will still occur, and they are most often the result of unsafe working conditions, not employee carelessness. If the accident necessitates a prescription or other medical care, it should be reported without fear of retaliation. And if a hazard threatens worker safety, OSHA should be notified so that an inspection can take place. Phone: A quick call to the Regional or Area OSHA office is a good idea in the event of an emergency or life-threatening hazard. Ostracism, gossip, and generally unpleasant social conditions. Are you working in an unsafe environment, but reluctant to report hazards because you fear retaliation from your boss? 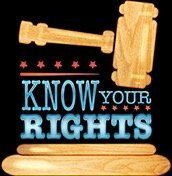 Have you already filed a concern, or a workers’ compensation claim, and are currently experiencing harassment or discrimination? If so, let the experienced team at Barbas, Nunez, Sanders, Butler & Hovsepian help. We will fight for justice on your behalf. Contact our Tampa office today.